Serendipity! 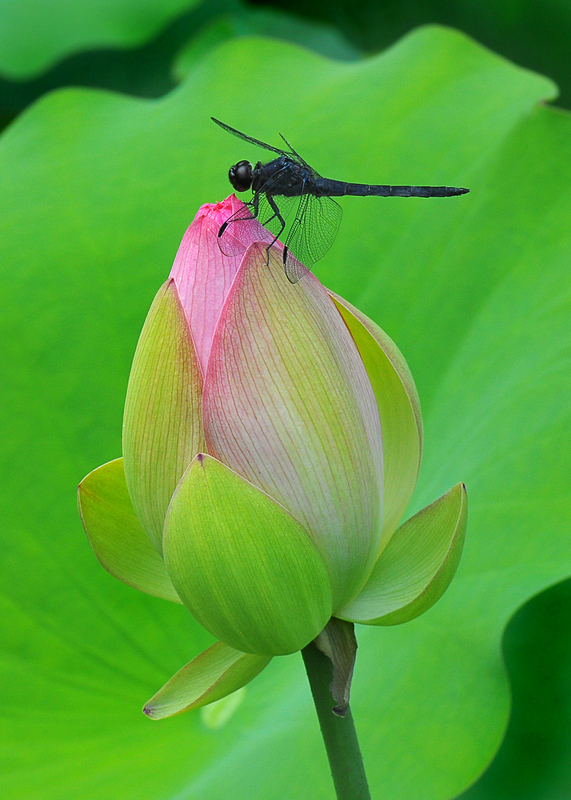 I was photographing this water lily at Kenilworth Aquatic Gardens early this morning and was silently praying that any one of the myriad dragonflies buzzing about would land and pose for me. And it was so. Michael was talking with a woman by the water lily ponds near the park entrance and she mentioned that she and her husband visit the gardens often, most recently accompanying a photographer friend who had just gotten a new long and pricey lens. 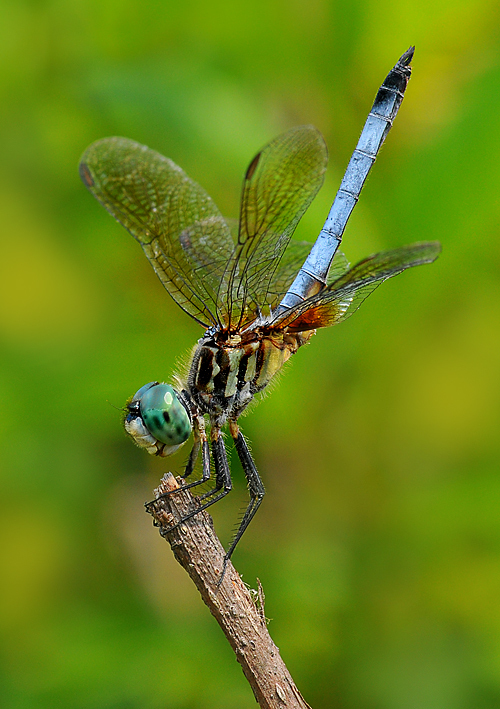 She said that he set up his tripod with his camera, attached the long lens to it, then turned his back. (You can see where this is headed, can’t you?). 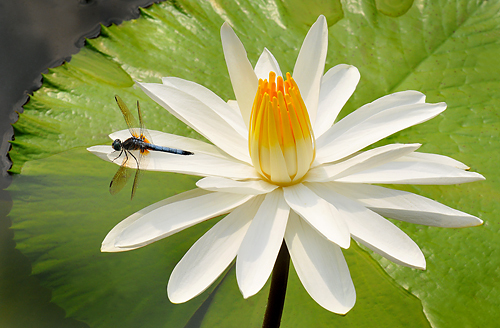 Off went the whole contraption into the shallow water lily pond—lens, camera and tripod! He immediately insisted everything was okay with the camera and lens. (I can just imagine I would say the same thing—not so much to calm my nervous friends, but more to keep from breaking down right there and sobbing!) Um, yeah…let’s hope he was right—-but I’m just not sure digital equipment can survive a dunk in a pond without needing some kind of intervention afterward. It looks like a Gaura plant, but I’m just not sure, and the plant wasn’t labeled at Green Spring Gardens this morning. Any one venture to guess? Patty? The sprigs tend to lean downward, like a waterfall. ‘Zowie’ Zinnia with alliums in the background—-I just learned from an employee that the gardeners at Green Spring Gardens spray paint the giant alliums blue after they have flowered. I should have noticed that but didn’t until now—duh. Pretty creative! Thanks to Patty, the name is now correct. 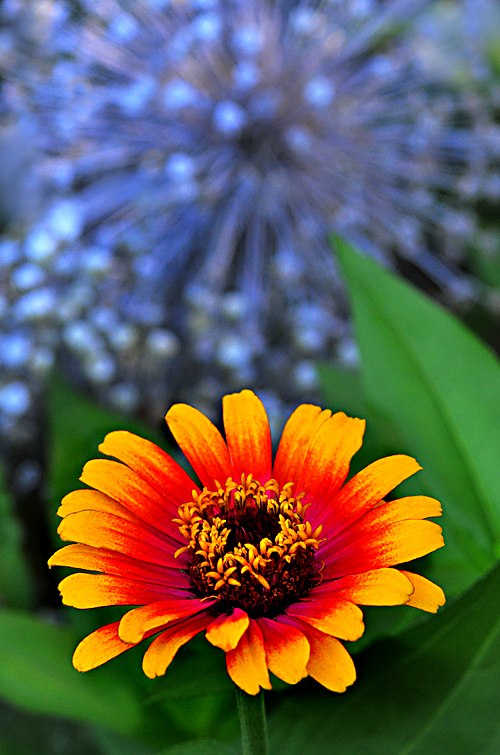 I actually called Green Spring Gardens and when they got back to me later, I was told it was the ‘Arizona Sun’ Gaillardia. I know I described it in detail so there would be no confusion. Thanks, Patty, for getting it right! 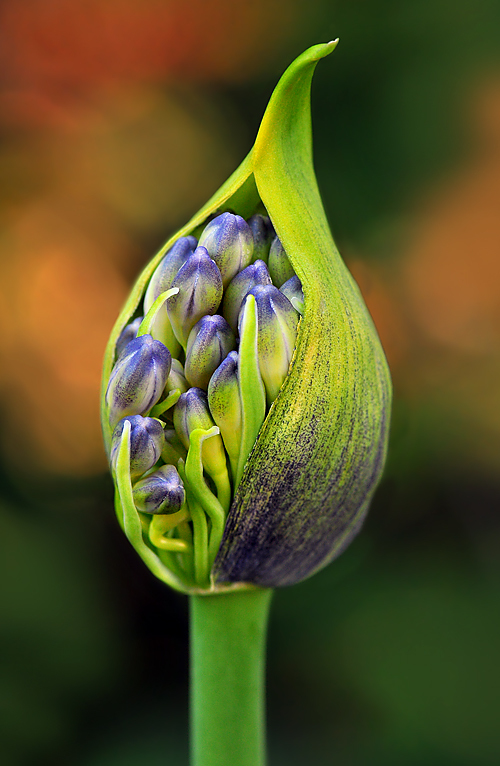 I think this is an Agapanthus africanus bud. 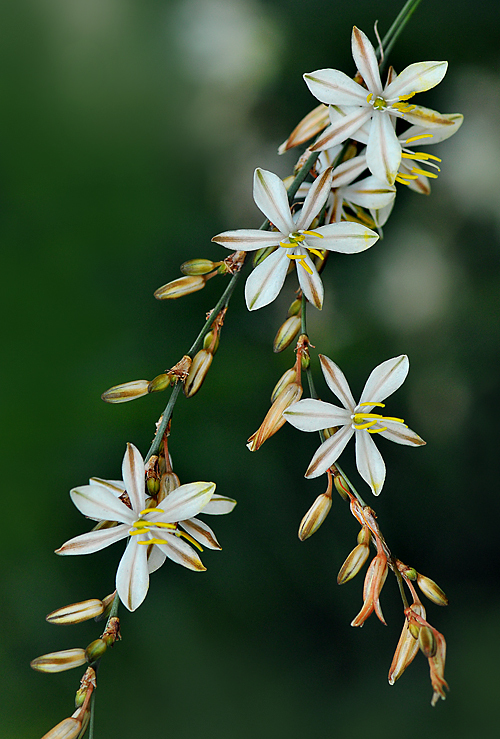 Common names include Lily-of-the-Nile and African Lily (although it is not in the Lily family). 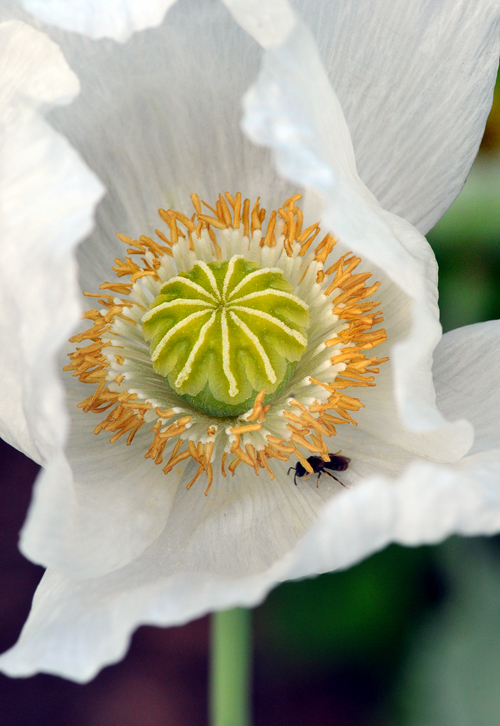 This herbaceous perennial plant, native to South Africa, is planted in well-drained soil in the spring. It prefers full sun and blooms in the summer. The orange blobs in the background are beautiful orange daylilies!